There is a big Father's Day event going on in Canadian Tire stores between Jun 7 to 10. In addition to this, Jun 7 is also the Triangle Bonus Day. 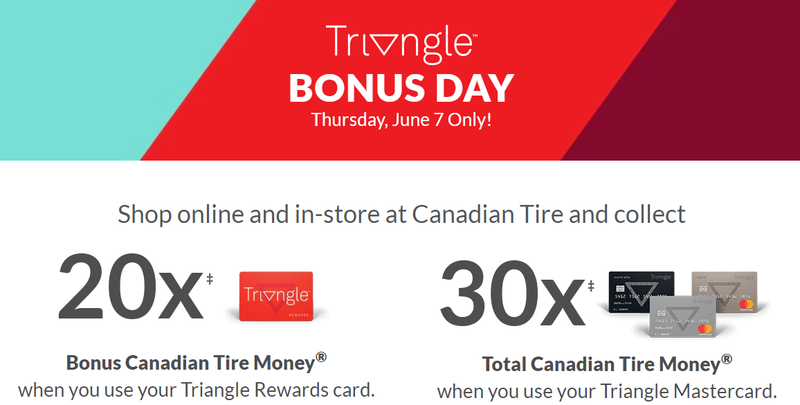 If you have the Triangle MasterCard, you can collect 30X points (12% cash back) when you shop online and in-store from Canadian Tire. Plus, you will receive a gas coupon to collect up to 5₵/litre in CT Money when you visit Canadian Tire, Sport Chek, participating Mark’s/L'Équipeur and Atmosphere locations between June 7-9, 2018. Gas+/Essence+ coupon valid June 7-10, 2018.